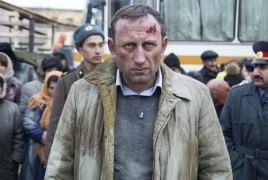 PanARMENIAN.Net - “Spitak”, Armenia’s submission in the foreign language category for the 2019 Academy Awards, is set for its Los Angeles premiere on Friday, December 7 at the Laemmle Glendale. The feature is about an earthquake that devastated the country in 1988, but the film is surprisingly quiet. According to an article published by Glendale News Press, Hysteria, panic and tears are depicted minimally. Even the quake registers as an understatement. Instead, Kott focuses on the hard physical and emotional work that follows.